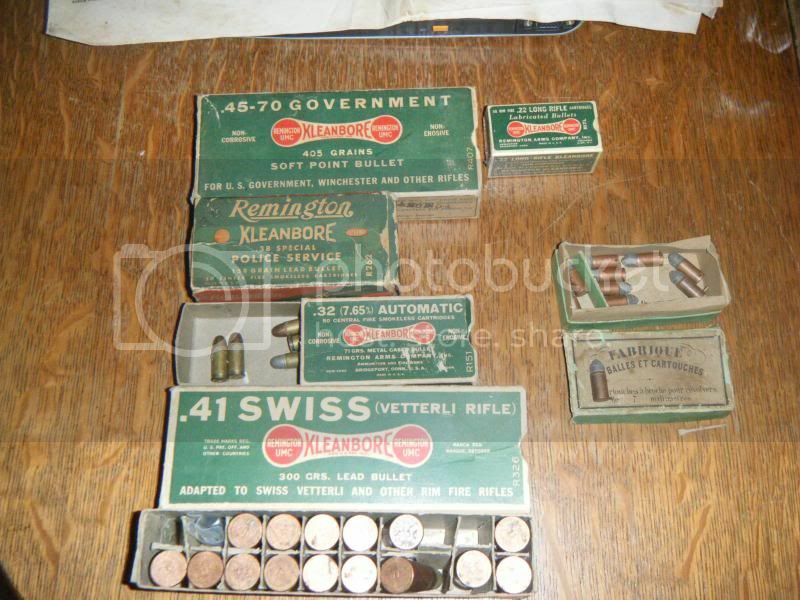 I started buying old ammo recently, mostly Kleanbore. In the middle of the pic is a box of .32 automatic. Any idea how old that box might be? The cartridges to the right are 7mm pinfire.